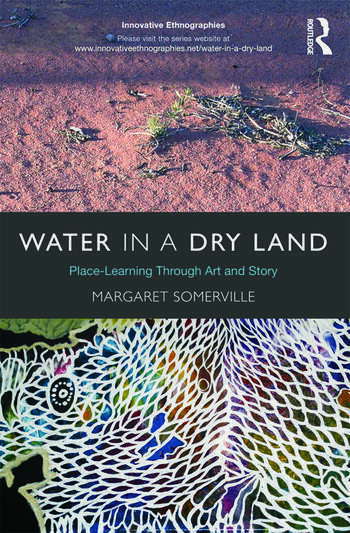 Water in a Dry Land is a story of research about water as a source of personal and cultural meaning. The site of this exploration is the iconic river system which forms the networks of natural and human landscapes of the Murray-Darling Basin, Australia. In the current geological era of human induced climate change, the desperate plight of the system of waterways has become an international phenomenon, a symbol of the unsustainable ways we relate to water globally. The Murray-Darling Basin extends west of the Great Dividing Range that separates the densely populated east coast of Australia from the sparsely populated inland. Aboriginal peoples continue to inhabit the waterways of the great artesian basin and pass on their cultural stories and practices of water, albeit in changing forms. A key question informing the book is: What can we learn about water from the oldest continuing culture inhabiting the world’s driest continent? In the process of responding to this question a team of Indigenous and non-Indigenous researchers formed to work together in a contact zone of cultural difference within an emergent arts-based ethnography. Photo essays of the artworks and their landscapes offer a visual accompaniment to the text on the Routledge Innovative Ethnography Series website, http://www.innovativeethnographies.net/. This book is perfect for courses in environmental sociology, environmental anthropology, and qualitative methods. Margaret Somerville is internationally renowned for her creative and experimental writing and research about place. She is Director of the Centre for Educational Research which focuses on researching sustainable futures at the University of Western Sydney.